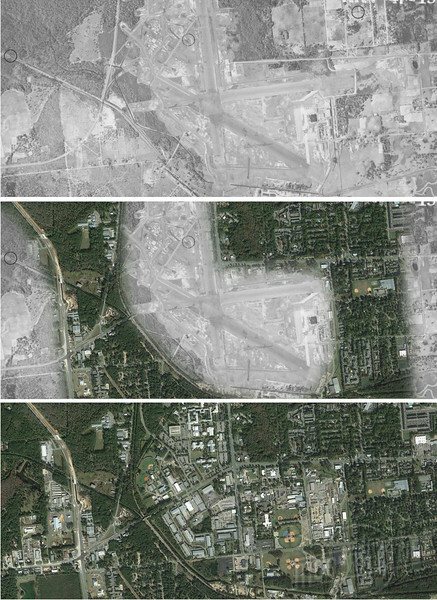 An interesting comparison of 1949 and 2016 aerials illustrating the impact of time and change on the shape of Florida's capital city: Tallahassee. Florida A&M University The Bond community and Florida A&M University (FAMU) in 1949. The Bond community dates back to the 1920s when blueberry farmer Benjamin J. Bond started selling land in the area to African-Americans at an affordable price. One of the largest historically black universities in the country, FAMU was founded on October 3, 1887. 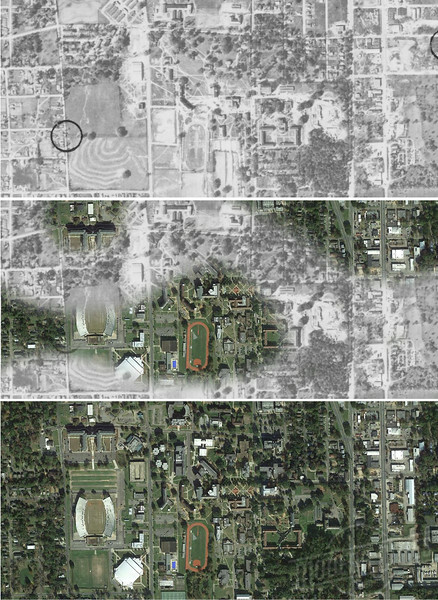 Today, FAMU is home to 10,000 students and its campus covers 420 acres. 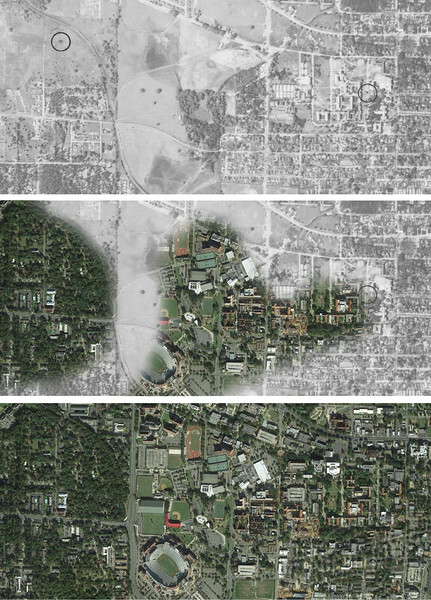 Florida State University In 1949, the campus of Florida State University (FSU) was still largely east of Woodard Avenue. Prior to the construction of Stadium Drive, a railroad line was used to deliver coal to FSU’s heating plant. Abandoned entirely in the 1990s, the former railroad bed is now the Stadium Drive Bike Trail.